← ’twas the day AFTER Christmas! As we reflect on the past year, we would like to repost this national event that shined a hopeful light on families living on the Autism Spectrum. 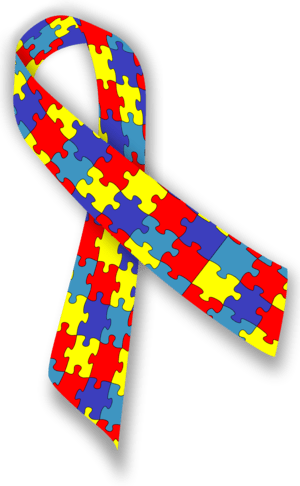 Let’s continue to support families experiencing Autism. Thinking about submitting your ‘aha moment’ video that raises awareness about Autism? View this Top 10 Winner’s ‘aha moment’ video! The finalists! You’ve cast your votes and picked your favorites. Congratulations to the 25 top vote-getters who are one step closer to being included in Mutual of Omaha’s 2011 TV campaign! Until October 31, you can select the 10 aha moments that will be featured in our TV campaign. Vote now for your favorites! Our friend Jimmie is a loving father of 2 school-age sweetie pies! In Jimmie’s aha moment, he shares his desire to raise his children with wisdom, understanding and mostly love. Aha Moment (Mutual of Omaha) VOTE FOR Jimmie_Baton Rouge,LA ‘ Just the way he is.’ http://www.ahamoment.com/pg/voting?momentSeed=1288371749 ENJOY! “Thank you Jimmie Smith, Jr. for opening up your life to me, for not judging me, for sharing with my husband, for being so sacrificially unselfish. Mostly, I appreciate your bold stand for children with special needs, your pursuit of knowledge and your wisdom that bolsters our efforts! “ Voting for Jimmie Smith, Jr. helps raise awareness for individuals with disabilities, especially our kids. Voting closes on Sunday, October 31st! Some of us may have already voted for Jimmie’s Aha Moment a few months ago. Now, Jimmie needs our VOTES again and others’ VOTES to make it to the top 10!! CAST YOUR VOTE FOR JIMMIE TODAY! Copy this link into your browser: : http://www.ahamoment.com/pg/voting?momentSeed=1288371749. If this link is inoperable, simply go to Aha Moment (Mutual of Omaha) at http://www.ahamoment.com/. Jimmie Smith Jr. has his family story listed as “Just the way he is.” which is an except for his original ‘Not hopeless.” There you will see his engaging smile with his name as ‘Jimmie_Baton Rouge’. Don’t hold back your tears of feeling inspired as you view Jimmie’s video. This is the Jimmie we want you to VOTE for – a selfless friend who opens his heart – a proud Dad who always has kind words to share about his 2 kids – someone so insightful, he created a digital biopic THAT EVERYONE WANTED FOR THEIR OWN MEMORIES! Hey! Think we are next in line to get our dvd made?! Thus, in honor of making it this far in the Aha Moment – and being an awesome friend – we are dedicating our family blog to the remaining 3 voting days to Jimmie and his wonderful family. ‘Enjoying the Hi-5s of Autism – A Family Experience’ is honored to share Jimmie Smith, Jr.’s Aha Moment. We will post announcements to VOTE FOR JIMMIE’S AHA MOMENT on Google, Facebook and Twitter. Please join us in spreading the word in your special way and remember to VOTE FOR Jimmie_BatonRouge ‘Just the way he is.’ aha moment! MyAHAMoment avatar of the ‘aha moment’ national tv campaign by Mutual of Omaha. See the 2011 Winners! Gallery | This entry was posted in celebrations, contentment, FYI, good news!, media, public, thinking outside the box, Uncategorized, videos and tagged aha moment, ASD, autism, Autism Awareness, autism spectrum, autistc, Jimmie Smith, Jimmie Smith & Family, Jimmie Smith & Kids, Mutual of Omaha, national campaign, vote. Bookmark the permalink.